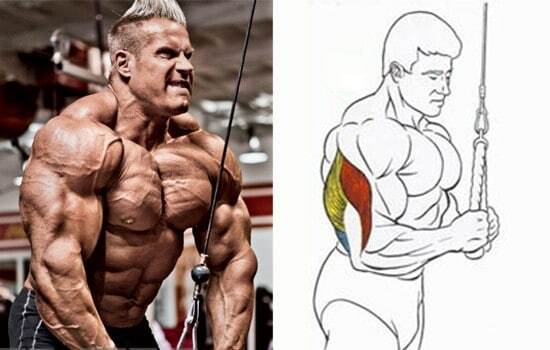 Jay Cutler’s tricep workout tips will surely blast your triceps into new Growth! 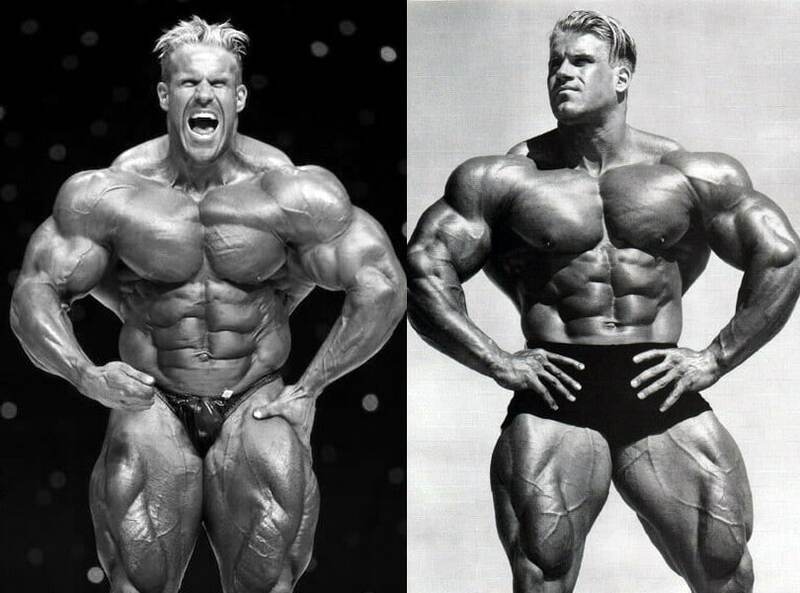 Jay Cutler built some pretty massive triceps during his competitive days and no one could deny that. Now, he wasn’t known for having the best arms in bodybuilding but they were impressive enough for him to win four Sandow trophies (Mr. Olympia titles). So it’s safe to say… he knows how to make any muscle large enough to turn heads. If you’re looking to add as much triceps mass to your arms as possible, then here is Jay Cutler’s tricep workout advice broken down into 7 useful tips. 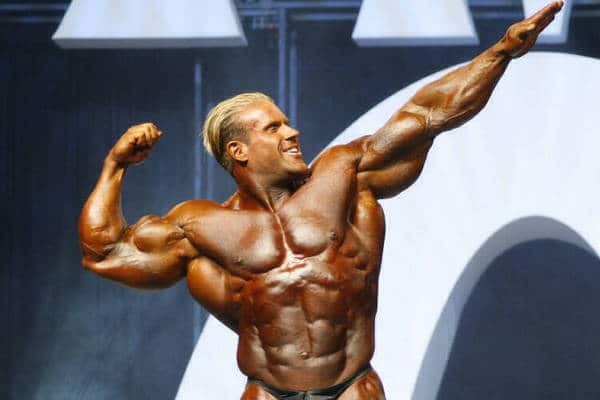 So apparently Jay Cutler doesn’t think he was born with great tricep genetics (Could have fooled us) but let’s just admit that most guys would give up their protein powder to have triceps like him. 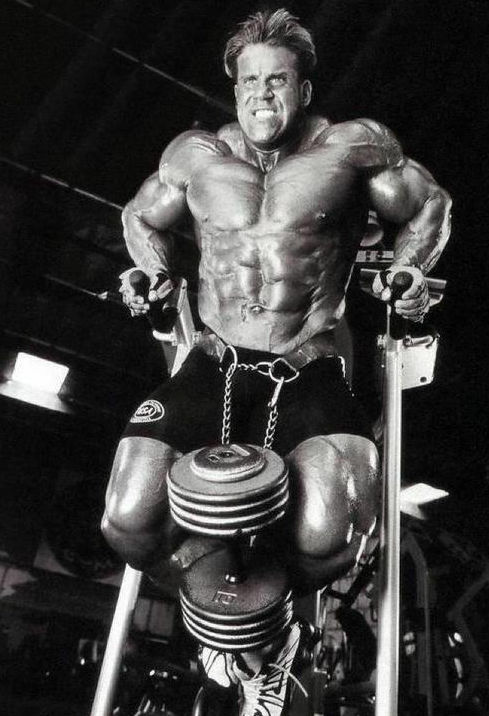 Cutler learned through training that there are so many ways to target a muscle and this is why he loves doing cable work for triceps development. Jay Cutler doesn’t believe skull crushers (Lying tricep extensions) are the holy grail of triceps development despite it being praised in such a manner. So next time you’re at the gym hit the cables and find what works for you through experimenting. There are so many variations when it comes to Tricep pushdowns and overhead extensions using cables since you can use so many different types of attachments (Ropes, single grip, E-Z bar, straight bar etc). Cable workouts get a huge “thumbs up” for their effectiveness, especially since they also keep constant tension on the muscle which is so important for muscular hypertrophy. Warming up is crucial to saving your elbows from injury and/or discomfort. Cutler believes the elbows should move like a simple hinge and this is why he recommends starting with rope pushdowns since they are great for warming up the area before jumping into heavier weights. Many people who jump straight into extension exercises experience serious elbow pain due to placing more stress on them without first activating the triceps. So try some light rope pushdowns at the start of your triceps workout and you’ll feel the tension more on your tricep muscles and less on the elbow joints. Jay’s Tricep Tip #3 – Hit the Dips! Jay Cutler strongly believes that dips are the number-one most effective movement for triceps growth. 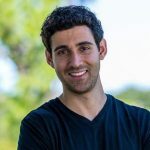 He explains how Olympic gymnasts use their triceps through bars and rings, which in itself proves just how great the movement is for muscle development. If you can’t do a proper dip, use the dip assist machine or try it on a bench. Both are a lot easier than a body weight dip and will help develop your tricep strength tremendously. Single arm pushdowns are fantastic for getting a more focused contraction and even improving imbalances. But there’s a twist… literally! Next time you’re doing pushdowns, use a reverse (Underhand) grip. These reverse grip pushdowns have added a lot of detail to Cutler’s horseshoe shape on the back of his arm (Triceps). The single-arm dumbbell extension is one of the most amazing exercises we can do for tricep growth and development (Especially the long head of the triceps). The reason Cutler highly praises this movement is that you cannot use momentum. Your triceps are in a true isolated position and have virtually no help from assisting muscles. When doing this exercise, don’t start out using a really heavy weight because it can be very dangerous for the elbows due to the nature of the movement. Many people choose to perform this exercise with a moderate weight and moderate to high reps for elbow safety. However, if you’re an advanced lifter, you know your body best and heavier poundages can be very beneficial for building a lot of size and strength. Keeping tension on the muscle is key to stimulation and growth. This is why Jay Cutler does not lock out when he does dumbbell or barbell extensions. This is different than doing cables or dips because, during these movements, the tension is always constant. Jay’s Tricep Tip #7 – Don’t Focus too Much on Lifting Heavy! You don’t want to mess up your elbows, so be easy on the weights and they will thank you later. If you’re used to walking into the gym and loading up the bar with a lot of weight, try using less resistance more often to preserve your joints and really stress the tricep muscles. So do yourself a favor and leave your ego at the gym door… you’ll get better results anyway! If you can’t seem to get your triceps to grow, these seven methods are effective for getting jacked triceps (Unless your nutrition is lacking because it’s crucial for building muscle). Jay Cutler is a true expert in the field of muscle building and it’s worth your time to implement his very best techniques for massive growth. Remember, it’s very important to preserve your elbows by warming up properly and using a weight which stresses the muscle, not the joints. Be consistent in your training while using these methods and you’ll see some pretty amazing results!